Con : Domenico Ammendola, Carmelo Coglitore, Aurora Curcio, Andrea Avena, Francesco Cusa. What direction is music bringing? I try to explain myself better. I report myself neither to classical music neither to pop music, two categories from long time embalmed inside their own stylistic territories, both from the necessity to perpetuate for ever a rite of repetition required by their teams of followers. But try to stir in the territories of border, to realize something new again, belonging to avantgard or simply to the search of something of extremely personal and alive, what paths does they cross? From what I am listening and I have listened in the last two years it seems to me that there are two directions interested by the musical creativeness: first, a sort of approach between composition and improvisation, more and more improvvisatoris devote themselves to the default structures created by the composers transforming themselves in eclectic and informal executives, more and more composers discover the joys and the risks of the improvisation becoming themselves “istant” composers. At the same time it seems to me that after one century of atonal search, the noise's discovery, abandonment of the melody, desire of a cerebral music as pure expression of an abstract artistic thought there is more and more a return to the emotions, to the desire of a music that expresses feelings and vibrations till now disdained and "relegated" to the popular music. “D’Onde” is it possible that a composer wants to record her own ideas transcribed on scores through a musical label / collective with the name of Improvvisatore Involontario? Is it a paradox? As Mario Gamba wrote in the notes that they accompany the cd? Is it a musical nonsense or another joke from a collective that in the years has accumulated by now several examples of witty and intelligent humor? 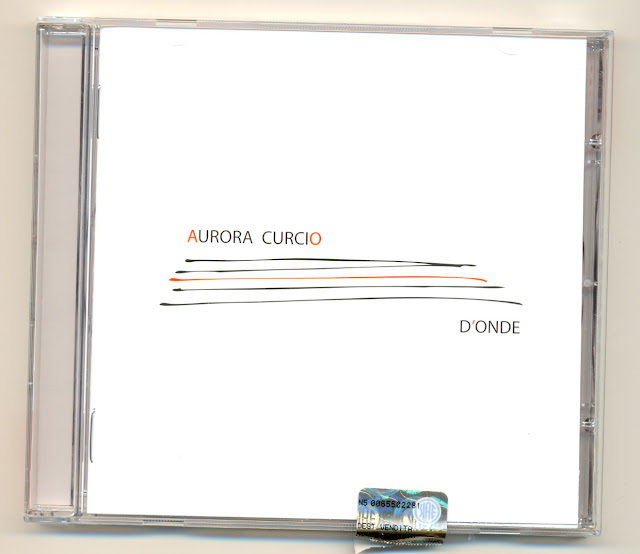 For sure Aurora Curcio knows what she does, as they perfectly know Domenico Ammendola (clarinet), Carmelo Coglitore (tenor and soprano sax, low clarinet), Andrea Avena (bass) and Francesco Cusa (drums) perfectly relaxed among the notes of a score instead on unintentional improvisations (one of these days I will decide to face their sense of humor asking "but what means “Involontario” (Unintentional)”?. 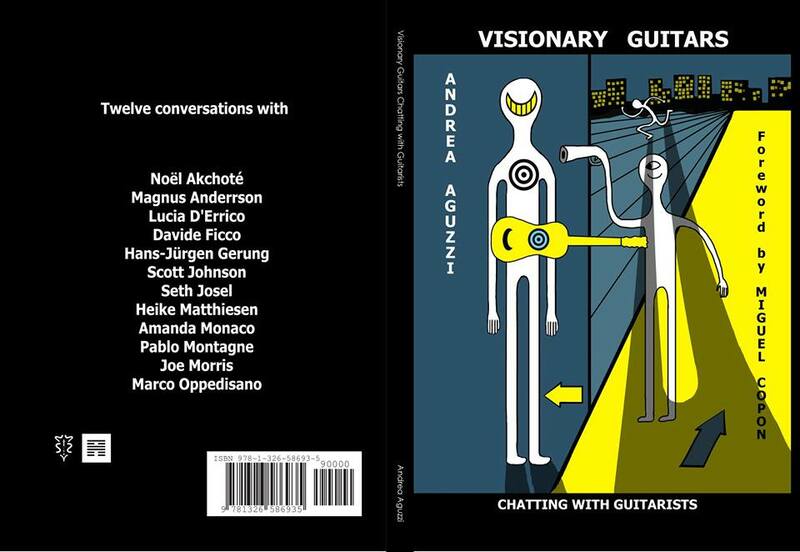 On everything, justly thanked in the cd’s booklet musically flutters the concrete ghost of Coltrane, but shortly who will stop the music? Is the air becoming electric? Are scores and composers turning themselves into nets of relationships? Very beautiful! 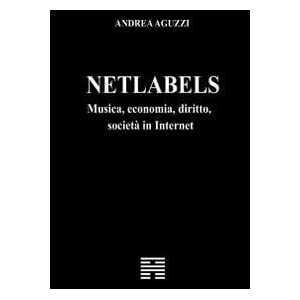 Fifth volume devoted by the Stradivarius to composers and musics related with the use of the voice in the Italian contemporary music, always within "times future". What to say? I have been very surprised. The well interpreted passages by the Duo Alterno (Tiziana Scandaletti soprano and Riccardo Piacentini piano) have decidedly left me to the first listening surprised. Until now (but I admit a personal scarce interest for the voice against my prefernce for the guitar and the instrumental music) to the word "contemporary" I always had met voices like Cathy Berberian or Joan La Barbara or however an idea of voice used against with the opera tradition. Instead this record goes to an other direction, here the voice becomes a pretext to activate a link with the opera and the melodrama traditions and for an abandonment of noise and atonal forms for the game of melody. Sacrilege? Abandonment of the "sacred" verb of Darmstadt? A nostalgic recovery? Or perhaps … it can be that after the excesses of the romanticism (in a sense) and the European avantgard (in the other) are those people that compose new music returning or better mediating toward "melody?" What can be better then do it through the sweetness and the tradition of the opera and the tradition of the Italian melodrama? How to explain otherwise the seven “Canzoni d’amore”by Lorenzo Ferrero and “Canson piemontèisa” and “Quattro canzone napulitane” by Riccardo Piacentini? To talk and tosing about love don't seem to ever have been the goals of the cold underlying logic to the dodecafonic and the atonal music. 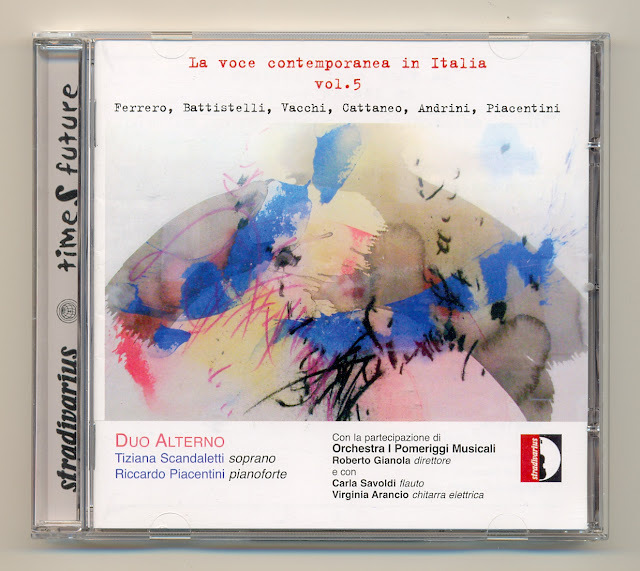 The Duo is not alone in this cd that we could quietly rename of "songs of love for contemporary music", they accompany them the flute of Carla Savoldi, the l’Orchestra I Pomeriggi Musicali directed by Roberto Giannola and the electric guitar of Virginia Arancio. It will be for my explicit preference for the electric six strings but I really enjoyed the passage by Victor Andrini "Marcello's Divertissement" where the guitar of Virginia Arancio plays with and against the piano and the voice of the Duo, bringing a sonic distorted substratum in the languid melody of the passage, an element of disturb (guitar sometime follows the piano sometimes the voice) and at the same time bringing some depth in the music. A sonorous depth not so perfect anyway, the recording is perhaps more careful to the qualities and the dynamics of the voice and the plan and it doesn't put well in prominence the "dirt" expressed by the electric guitar clipping the wings of her dynamics but patience.. the risult is an interesting piece that can be object of study for those people who I want to widen their own repertoire. MANSARDA in "Shock in the Village"
Welcome in Mansarda ! How many things can be found there above? You start this record and the voice of an annoyed cat informs us that she spasmodically desires with Marylin’s purrs a red new dress … is she real? Is she playing or is she having fun of Amalia Grè? And why as soon as she keep silent it seems that in the Mansarda drop a bomb? Maybe .. is this the mansard of the Naked City still alive? Jazz Punk core? You know the score? Then quiet? The dust slowly deposits around … The same voice that weaves itself to the breaths of a liquid and hypnotic guitar? Strange titles: who can dance ever a "Vorticoso (Whirling) twist?" Who will live in a "Interno Maceratese (Inside Maceratese)?" Who has seen never the "Tony Blair witch project" and does he stay alive later above all? Which of you have ever read "Ther last letters of Alberto Fortis (Le ultime lettere di Alberto Fortis)" and did they taste like strawberry indeed? Has Henry ever arrived to Hollywood? 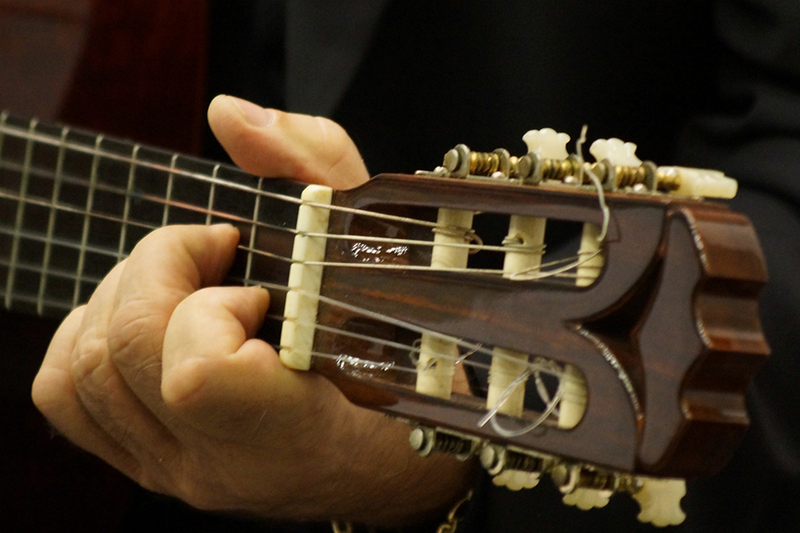 What’s the job of Giacomo Ancillotto’s guitar? Does it play with Chuck Berry and Peter Gunn? A moment, inisde the Mansard of Improvvisatore Involontario there is this and other interesting things. And on the other hand who do you think could furnish in this way a proper mansard for the cat of Alice in the Wonderland? Extemporaneous creations, divergent improvisations, rough songs, highly unstable groove, acids reeds and precarious guitars. Well I think I will enjoy myself a lot in this Mansarda .. have you ever seen that I find here all the Aristocats band? Fretless guitar is such a curious instrument. It seems such a simple thing seeing it, but when you feel it under your fingers and you start to think about it you understand that it is not an easy thing. Remove the keys is not a simple aesthetical matter, behind those metal barrettes there is a world, a logic, a tradition and a forma mentis that you can’t find anymore suddenly on a smooth keyboard. The difference is mental, visual and tactile, disappeared the tonal points of reference we are opened to new possibilities and logic that this record well shows. Till now this guitar has been only appanage of improvisators: who other could begin play on it? As always when it’s necessary to map new territories we sent the explorers who start to draw some summary maps and trace new points of reference, behind of their then will come the professional certifiers and cartographers, but at the moment the available musical materials are the solos and the few improvisations often immortalized by the video available on youtube recorded during the Festival of the Guitar Fretless that is annually held in New York. Till now few are those people who have begun to play it, I quote the tutelar names of Elliott Sharp for USA and of Simone Massaron in Italy. 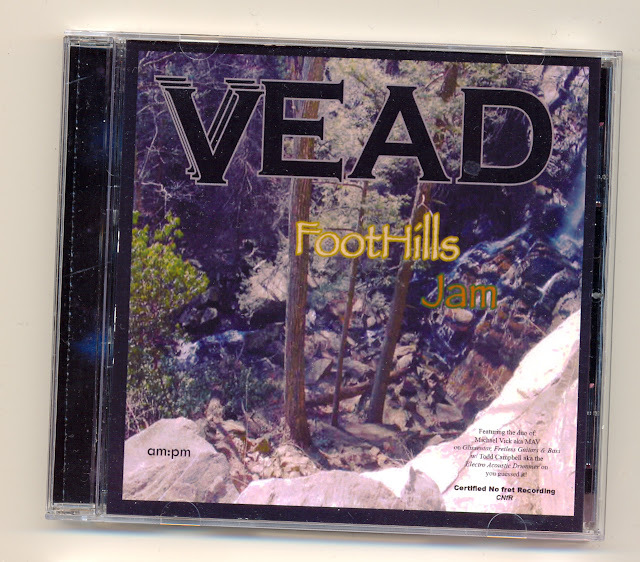 This records starts an operation of documentation, inside you will find rigorously all improvisations for fretless guitar and bass and for percussions. The guitar plays curious, the ear has to find its way to orient in a microtonale sea, the music is strong, raw and impassioned, this is a curious, pleasant and stimulating cd. 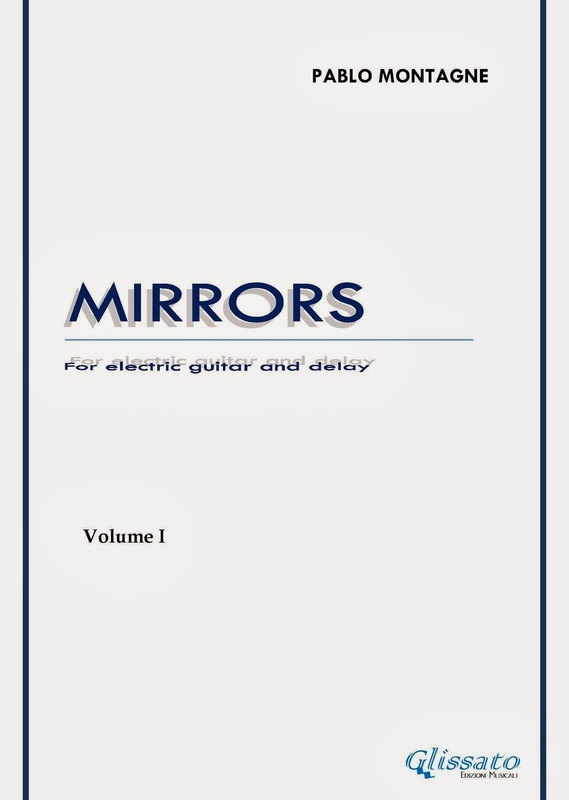 There is not only music but also some extracted by recordings of lectures on fretless guitar that with a lot of humor and so much passion talk of the characteristics of this guitar and invoke loud much more interest from the composers and a news notation’s system created for the characteristics of this instrument. I recommend it to everybody: opening our mental horizons is always a good thing! A spectacular sound. A little gem. A pure concentration of ideas, talent, quality and intuitions. Piccolo Ensemble is back with its Reloaded version with a mini EP of four just perfect songs, carefully measured and chiseled characterized by a total attention to the sound quality. Elia Casu on guitars, bass, Matteo Muntoni on double bass and Stefano Vacca on drums generate a music that is a mix of jazz, post-rock and folk, creating haunting ballads that flow into an elegant and pleasant slow motion. Splendid the ethereal voice by Laura Mura that adds even more charm to the music itself elegantly balanced and defined. I repeat, this is a little gem. Un suono spettacolare. Un piccolo gioiello. Un concentrato di idee, talento, qualità e felici intuizioni. Torna il Piccolo Ensemble nella sua versione Reloaded con un mini EP di quattro brani semplicemente perfetti, sapientemente dosati e cesellati caratterizzati da una attenzione totale verso la qualità del suono. Elia Casu alle chitarre, Matteo Muntoni contrabbasso e Stefano Vacca batteria generano una musica che è un mix di jazz, post rock e folk creando ballate ammalianti che scorrono in un flusso elegante e piacevole. Splendida la voce eterea di Laura Mura che aggiunge ancora più charme a una musica di per sé elegantemente bilanciata e costruita. Lo ripeto, un piccolo gioiello. Dal 7 all'11 settembre nella splendida cornice del Collegio Vescovile Barbarigo (in centro Padova). Iscrizioni entro il 3 settembre. "CORSO DI PERFEZIONAMENTO DI CHITARRA"
Repertorio originale per la chitarra a 6 corde del periodo Classico, Romantico, Moderno e Contemporaneo. 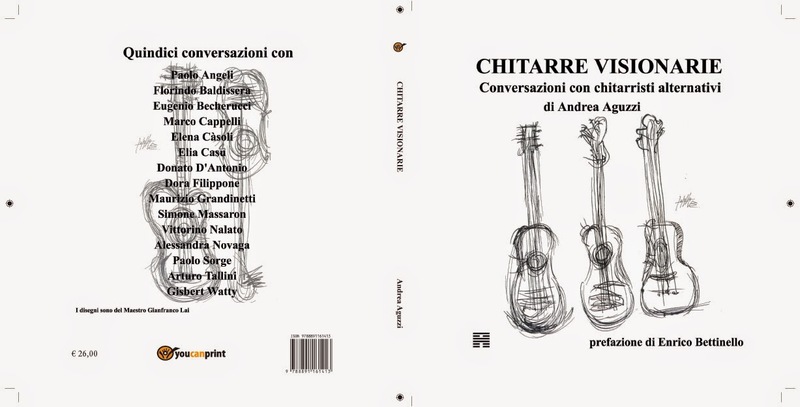 Dalle trascrizioni storiche alle Musiche originali per chitarra di compositori chitarristi o di compositori non chitarristi. Dalla Musica Rinascimentale per Liuto e Vihuela alla Musica Barocca per Liuto e strumenti similari, attraverso le trascrizioni dalle intavolature. Il corso prevede un massimo di 12 allievi effettivi ed un numero illimitato di uditori. Associazioni musicale "Le Altre Note"
info@lealtrenote.org o al fax +39.02.3313201. I confess that I feared reading the title of this cd, the first self-produced record release by Gianluca Vanità: the title brought me back dark memories of new age sugary sounds , ghosts I defeated some times ago through exorcisms based on doom metal. But fortunately this did not happen. Gianluca Vanità is an italian classical guitarist, with a solid cultural education that shines through in every note of this personal record. I say personal because normally it is easy to come across, from who comes out of a conservatory, in a debut album substantially based on a.. "classic" repertoire.. Recuerdos de la Alhambra, Lagrima, etc. Nothing bad mind you, but it is likely to generate a series of records very consistent with each other chasing the same repertoire and the same music. 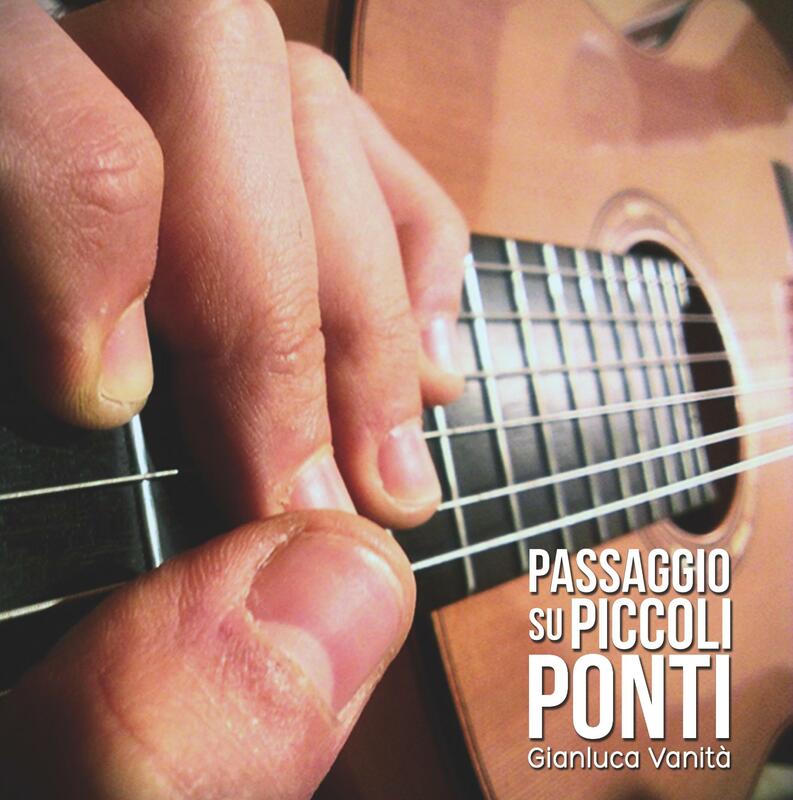 Vanità instead has chosen a very different path, releasing 16 tracks all composed, designed, made and played by himself , a solution more in line with the proposals coming instead by who wields an acoustic guitar or playing fingerstyle. The result is a work that draws with both hands in classic tradition, a genre normally averse to this type of operation, you could even have some fun seeking all the hidden "licks" taken from the classical guitar literature. The risk, of course, is to lapse into banality quotations, but what Vanità did seems to me having all the characteristics of a particular choice rather than a limit: Vanità plays very good the songs are pleasant and his technique is excellent. Of course, this is not contemporary music, we're not talking about a hard structures or particularly innovative solutions, but melodies are beautiful, pleasant and well-structured. It could be the beginning of a process that need further investigations before reaching full maturity ... I have no hurry, I'll wait with pleasure all the possible developments. 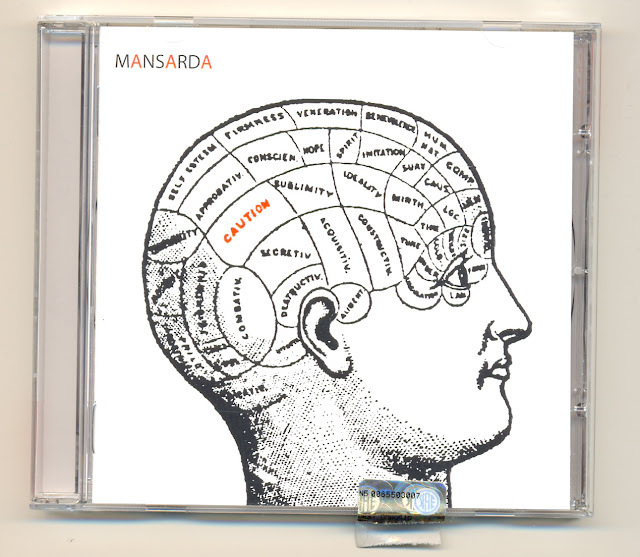 Confesso che ho temuto leggendo il titolo di questo cd, prima uscita discografica autoprodotta per Gianluca Vanità: il titolo riportava alla mia memoria sinistri ricordi di zuccherosi suoni new age, spettri allontanati tempo fa grazie a esorcismi a base di doom metal. Ma per fortuna così non è stato. Gianluca Vanità è un chitarrista classico, dalla solida formazione culturale che traspare in ogni nota di questo suo personale disco. Dico personale perché normalmente è facile imbattersi, da parte di chi esce da un Conservatorio, in un disco di esordio sostanzialmente basato su un repertorio... "classico": Recuerdos de la Alhambra, Lagrima, etc. Nulla di male sia ben chiaro, ma così si rischia di generare una serie di dischi molto omogenei tra loro che rincorrono lo stesso repertorio e le stesse musiche. Vanità invece ha scelto una strada molto diversa, quella della pubblicazione di 16 brani da lui stesso pensati, realizzati e suonati, una soluzione più in linea con le proposte che arrivano invece da chi imbraccia una chitarra acustica o suona fingerstyle. Il risultato è un lavoro che attinge e pesca a piene mani nella tradizione classica, rielaborando un genere normalmente avverso a questo tipo di operazioni, si potrebbe addirittura giocare a cercare e a individuare tutti i "licks" presi dalla letteratura chitarristica a sua disposizione. Il rischio, si sa, è quello di scadere nel banale citazionismo, ma quella di Vanità mi sembra avere tutte le caratteristiche di una scelta determinata piuttosto che di un limite, ma Vanità suona bene e con gusto, i brani sono piacevoli e la sua tecnica non credo abbia nulla da invidiare. Certo, non si tratta di musica contemporanea, non stiamo parlando di un disco dalle strutture particolarmente innovative o dalle soluzioni fuori dalla norma, ma le melodie sono belle, piacevoli e ben strutturate. Potrebbe essere l'inizio di un percorso che necessità di ulteriori approfondimenti prima di raggiungere una piena maturità... non ho fretta, aspetterò con piacere i possibili sviluppi. 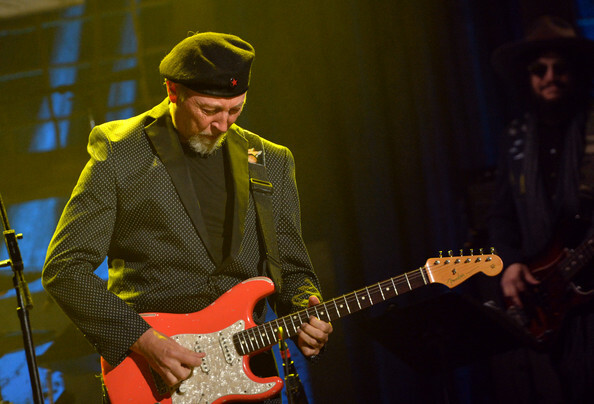 A crowd funding campaign to support Marco Cappelli residency @ The Stone, NYC. Production of live CD and DVD and event publicity. Ciao Simone, senti .. spiegami un po' ... perché questo corso sull'improvvisazione? 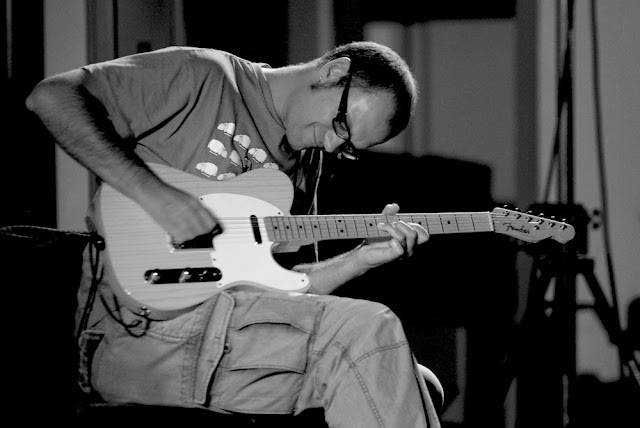 Ciao Andrea, innanzitutto grazie per esserti interessato a Improve-Improvising. Più che un corso, è un workshop cioè un seminario, un laboratorio aperto, uno spazio creativo dove metto a disposizione degli alunni tutta la mia esperienza d’improvvisatore e di didatta. Mi piace la traduzione letterale dall’inglese all’italiano della parola workshop che in una delle sua accezioni significa “Officina”. Anzi, il sito “wordreference” dà come definizione “A Place with Tools”. Niente di più veritiero. Il posto è l’ambiente formato da me e dagli alunni e gli attrezzi sono le idee, l’esperienza, il confronto e la capacità di trarre sempre delle conclusioni. Negli ultimi cinque anni ho tenuto workshop d’improvvisazione circa in tutta l’Italia settentrionale e mi sono accorto che il livello di preparazione dei ragazzi, specialmente quelli usciti dai conservatori, è alto, ma che non sempre sanno cosa è l’improvvisazione o quanto una buona conoscenza dello strumento possa aiutarci non solo nella pratica improvvisativa, ma anche nello studio quotidiano. Negli ultimi anni ho sottoposto diversi argomenti ai ragazzi che si sono iscritti ai miei corsi; conoscenza della tastiera, strumento preparato, live looping e sempre tutto questo è stato riportato all’improvvisazione. In questa nuovissima edizione del workshop le novità sono che si svilupperà in una settimana piena, infatti, oltre alle lezioni giornaliere in gruppo, il programma prevede due lezioni individuali della durata di 90 minuti che si svolgeranno nel corso del WS, durante le quali ogni iscritto potrà approfondire degli argomenti a sua scelta tra quelli proposti. Questo permetterà a ogni iscritto di personalizzare il proprio percorso del WS senza però perdere il lavoro collettivo con gli altri studenti e in più potrà portare la sua esperienza individuale nei concerti serali (ogni sera si suona) e nei momenti di confronto così da poterla condividere con gli altri. E poi è un WS residenziale; si vive tutti nello stesso luogo che è una bellissima immersa nel verde a Revine (TV), vicinissima al laboratorio del liutaio Michele Della Giustina. L’idea di studiare improvvisazione condividendo momenti come la preparazione del pranzo, della cena mi sembrava un’ottima cosa che purtroppo ultimamente non si fa più. I workshop sono troppo spesso momenti dove si studia e poi ci si rinchiude in stanze di albergo a esercitarsi in solitudine, spesso senza contatti umani rilevanti. Memore di alcune mie esperienze passate ho voluto impostare questo WS come se fosse un momento di condivisione di un particolare percorso artistico. E poi, ti assicuro, amo stare con i miei studenti, ridere con loro e osservare il loro relazionarsi agli altri. Se poi vuoi aiutarli a esprimere se stessi musicalmente, come puoi farlo se non cerchi di conoscerli prima? Ma perché un chitarrista di formazione classica dovrebbe aver bisogno di imparare a improvvisare? Perché spesso la loro formazione li porta a essere molto “insicuri” quando si tratta di abbandonare il pezzo da eseguire e quindi una buona pratica improvvisativa aumenta la loro visione della musica. Ho avuto allievi che dopo aver affrontato un profondo studio della tastiera e delle sue relazioni, della sua meccanicità, mi hanno detto che il fatto di improvvisare tutti i giorni su strutture armoniche o semplicemente cercando di inseguire una melodia li ha liberati e resi molto più recettivi negli ambiti più consueti. In pratica mi hanno poi detto che la loro capacità esecutiva era migliorata notevolmente. Inoltre, i moderni compositori fanno un grandissimo uso dell’improvvisazione, spesso utilizzando partiture grafiche che lasciano all’esecutore ampie possibilità di improvvisare. Improvvisando, facendo pratica tutti i giorni, cambia il nostro rapporto con lo strumento, che diventa più intimo, con un maggiore contatto tra cervello musicale e chitarra. Uno degli esercizi che propongo è quello di suonare senza strumento, ma indicando le note sulla tastiera. Che cosa intendi per improvvisazione libera e improvvisazione in struttura armonica? L’improvvisazione su di una struttura armonica è quella più codificata, nel senso che suoni rispettando una cadenza armonica, una particolare struttura di accordi come si fa nel jazz o nella musica antica. In questo caso si può parlare di fraseggio e quindi di un determinato modo di improvvisare. Diciamo che questo tipo d’improvvisazione è paragonabile alla lingua inglese o a quella Italiana dentro a un concetto di “comunicazione”; conosco l’inglese e quindi comunico con quella lingua con quegli idiomi. L’improvvisazione libera trascende questi schemi, essa può essere melodica come concreta, cioè basata sull’interazione dei rumori. Quello che cerco di fare è di aiutare l’allievo a trovare la sua strada come improvvisatore. Ovviamente se avrò a che fare con un jazzista il mio lavoro sarà anche quello di tener conto del suo linguaggio di provenienza. No, non si parlerà sicuramente di licks. Concordo in pieno con la definizione di Holdsworth. Una cosa che dico sempre ai miei allievi è che suonare a pattern, licks è come parlare una lingua straniera sempre con un frasario in mano; certamente ci faremo capire, ma diremo sempre qualcosa di scontato e impersonale. Al contrario in questo WS, si lavorerà molto sulla personalità cercando di connettere il più possibile il pensiero musicale allo strumento. 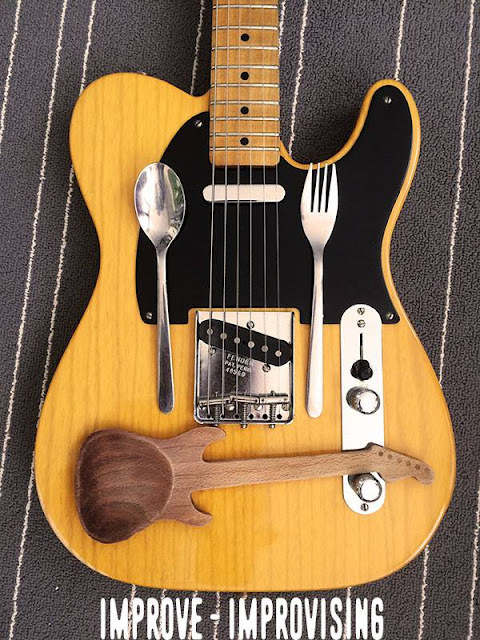 La chitarra è uno strumento distante dal cervello e la complessità della tastiera è spesso aggirata suonando in posizione, quindi abituando le dita a movimenti precostituiti. Nulla di male in questo, dopotutto se ci hanno dato uno strumento capace di arrivare in alcuni casi sei unisoni dovevamo trovare qualche trucco, no? Ma il problema è che suonando il questo modo spesso ci si dimentica del pensiero musicale e ragioniamo musicalmente in base a quello che sappiamo che le nostre dita faranno. Ecco il concetto di parlare con un frasario. Ma se io rompo questo schema, potrò concentrarmi solo sul suono pensato e quindi trasformarlo subito in azione musicale, esattamente come, avendo la padronanza di una lingua, potrò esprimere le mie opinioni senza ricorrere a frasi fatte. In questo senso il WS prevede molti esercizi, alcuni di sola concentrazione sulle possibilità offerte dallo strumento una volta rotti gli schemi consueti. Tu parli di radicalismo... ma come si può definire? E' un genere musicale o una "forma di pensiero" che può parlare più generi musicali? Si può parlare di improvvisazione e questo trascende ogni genere musicale. Derek Bailey è stato codificato come improvvisatore radicale e così altri musicisti come Evan Parker, perfino Fred Frith hanno quest’etichetta e quindi, per quanto io non ami etichettare la musica, il radicalismo è un genere musicale, o meglio un genere di improvvisazione. La definizione di Derek Bailey nella sua opera sull’improvvisazione è la più corretta. Essa parla d’improvvisazione idiomatica (jazz, barocca, indiana) e non idiomatica (improvvisazione libera). Quello che m’interessa in questo workshop è insegnare la pratica dell’improvvisazione libera: dal semplice suonare liberamente tutti i giorni, come pratica meditativa, al costruire un proprio percorso di pratica attraverso lo studio ragionato dei propri risultati, registrandosi, improvvisando con gli altri o improvvisando su partiture grafiche, immagini, film. Non è che a volte improvvisazione radicale e composizione radicale si incontrano? Spesso mi è successo di ascoltare delle musiche e di pensare che fossero improvvisate mentre invece erano composte e viceversa.. mi vengono in mente i Book of Head di Zorn e i Sette Studi di Maurizio Pisati, sono agli opposti ma il “risultato” è simile .. idiosincrasie della musica contemporanea o parallelismi delle linee evolutive? Penso siano percorsi paralleli. Di recente, a Basilea, sono rimasto folgorato dalla bellezza di alcune delle composizioni di Pisati, compositore che conosco poco ma che mi affascina molto e che quindi sono desideroso di scoprire. Spesso ci capita appunto di ascoltare musica e scoprire che non si tratta d’improvvisazione ma di partitura scritta, ebbene, ognuno si esprime come vuole, il compositore e l’improvvisatore. Anni fa mi occupavo solo d’improvvisazione radicale, ed era per me inconcepibile anche solo l’idea di scrivere una linea guida per le mie improvvisazioni. Ora sono attratto da entrambi i mondi e sto sperimentandomi nella composizione per chitarra. In ogni caso comprendere bene il linguaggio dell’improvvisazione aiuta tantissimo l’esecutore come il compositore. Portandoti il mio esempio vorrei sottolineare il fatto che ogni improvvisatore è a sua volta un compositore e viceversa, con l’unica differenza che ognuno dei due ha scelto a priori il linguaggio a lui più congeniale. In una recente lezione con un chitarrista jazz, abbiamo parlato del fatto che un solo è una composizione. Guai al chitarrista che pensa che fare un assolo su di una struttura armonica sia un esercizio o un modo per suonare su quegli accordi. Che senso ha dire solamente cose del tipo: “Su quell’accordo suona quella scala” etc. etc. ? E’ comporre questo, è improvvisare? Io non credo. Tornando alla lezione con il mio allievo, abbiamo parlato del fatto che si deve sempre tenere in considerazione il “dove si è” quando si fa un solo. Stiamo suonando “St. Louis Blues”? Benissimo, non puoi non pensare a un luogo, a un periodo storico mentre fai il tuo solo, in altre parole mentre componi il tuo solo in tempo reale. Questo non vuol dire che la tua Gibson all’improvviso si trasformerà in un banjo, ma che usando il tuo timbro, la tua personalità dovrà relazionarsi a qualcosa di fortemente evocativo. Questo diventa improvvisare/comporre. Ho assistito a una lezione del geniale Peter Croton, docente di musica antica a Basilea e la prima cosa che ha detto ai suoi allievi, che stavano eseguendo un brano di Carulli, è stata: “Ricordatevi dove siete”, ovviamente nel senso musicale del termine. E questo li ha portati a cambiare completamente il loro approccio al tempo del brano, pensando a qual era il motivo per il quale quel brano era stato scritto. Mi ricordo che si è messo a camminare per l’aula simulando una serie di personaggi a corte che entrano nella sala del ballo. Ecco, questo secondo me è pensare alla musica che si sta suonando, indipendentemente dal fatto che tu sia un compositore o un improvvisatore. Quanto è importante l'ascolto per saper improvvisare? E’ fondamentale. Pensa a un bambino che impara a parlare: quando lo fa, imita le parole e il modo di parlare dei genitori. Recentemente sono stato a trovare un amico che ha una meravigliosa bimba di quattro anni che parla italiano con lui, inglese con la madre e tedesco a scuola. Quindi, ascoltare è il primo passo per improvvisare. E che tipo di ascolto? Probabilmente la scelta giusta è quella di ascoltare un improvvisatore, magari inizialmente un musicista che suona il nostro stesso strumento. Spesso ai miei allievi più piccoli faccio ascoltare alcune cose di Derek Bailey proprio per far loro capire che esiste questo tipo di musica e soprattutto questo tipo di chitarra. Poi si potrebbe passare ad ascoltare un musicista che non suoni il nostro strumento, e poi ascoltare i suoni che ci circondano, la strada, gli uccelli, il vento. Senti.. la domanda potrebbe essere oziosa, ma se alla fine ascoltando attentamente un altro chitarrista o musicista non rischiamo di “copiare inconsciamente” la sua musica? Magari solo adattando qualcuna delle sue frasi più famose? E’ un rischio che va corso credo. Quando impariamo a parlare lo facciamo imitando i nostri genitori, i nostri insegnanti e spesso facciamo nostre le loro cadenze, i loro accenti. Ma poi ci si può staccare da questo e portare avanti il proprio suono, la propria ricerca. Ma è fondamentale ascoltare quello che hanno fatto gli altri soprattutto le personalità così forti come il già citato Derek Baley. La nostra generazione è cresciuta con il culto dell'ascolto e il rito del 33 giri ma le nuove generazioni che approccio hanno con l'ascolto? Pessimo a mio giudizio, nel senso che la rete ha reso tutto quanto accessibile a discapito della qualità purtroppo. Puoi ascoltare qualsiasi cosa su Youtube o su Spotify, ma questo implica che tu abbia uno schermo davanti. Il gesto del sedersi e ascoltare musica si è perso, o è decisamente cambiato. Durante una lezione con un ragazzo di terza media parlavamo dell’ascoltare musica e mi ricordo di avergli chiesto che cosa fa quando ascolta musica, nel senso se l’ascolta in cuffia, seduto o cosa. La sua risposta fu che per lui era naturale guardare dei video senza audio mentre ascoltava musica in cuffia, questo per aiutarsi nella concentrazione. Capisco che questo mio esempio sia un estremo, ma penso possa far ben capire quale sia il cambiamento in atto. E’ ovvio che parlando di musicisti o di studenti seriamente interessati alla musica improvvisata il loro approccio non sarà questo, ma comunque il modo di ascoltare è cambiato rispetto al nostro e purtroppo è uno di quei rari casi nei quali mi tocca affermare che il cambiamento è avvenuto in peggio. Ecco, la pratica d’improvvisazione libera aiuta anche la capacità di ascolto, imparare a improvvisare ascoltando gli altri può darci una nuova visione dell’approccio all’ascolto. Uno degli esercizi proposti nel WS è quello d’improvvisare ascoltando una persona che parla. Derek Bailey lo faceva, Scott Johnson ci ha scritto del materiale stupendo, io intendo portare avanti questa ricerca semplicemente improvvisando su registrazioni raccolte in giro. Anche questo è sicuramente un modo per espandere le proprie capacità di ascolto. Ma insomma alla fine ... l'improvvisazione è una cosa che si può imparare e insegnare? Si, assolutamente si. Non ci credi? 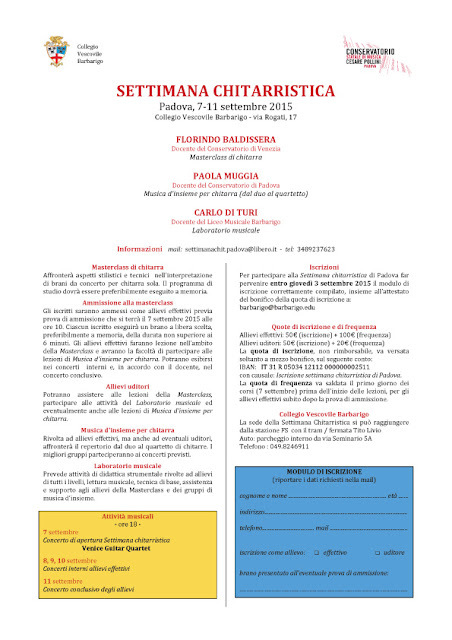 Vieni al mio workshop allora. Tu quoque Brute .. lasciami studiare ancora un po’ sulla fretless e arrivo..
Probabilmente hai già studiato più di quanto tu non creda, quindi ti aspetto. 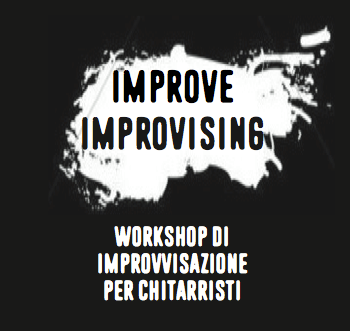 Improve Improvising, workshop sull'improvvisazione per chitarristi tenuto da Simone Massaron. Revine (TV) dal 27 luglio al 1 agosto e dal 3 all'8 agosto. Immersi nel verde dei boschi, 5 giorni full immersion per incrementare la tua capacità di improvvisare.